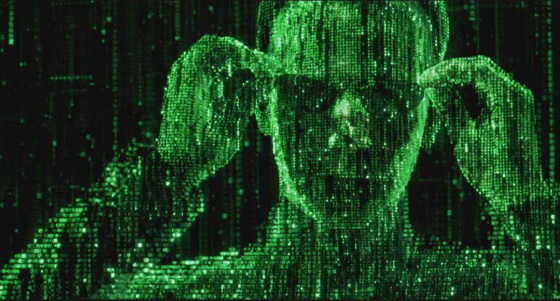 What if we were living in a simulation reality, a grand experiment, where we were the avatars, much like in the 1999 movie, The Matrix? 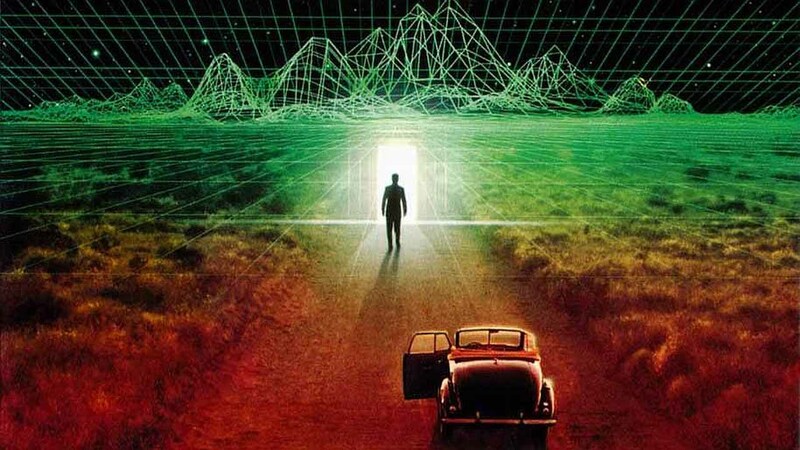 What if the Mind of God, often referred to as “Source,” was really the Source Code for the intelligent programming behind this holodeck reality? The penultimate question is whether our world is real or just “an illusion,” as the ancient philosopher Plato speculated. We may never know. While this entire concept may sound like science fiction, some physicists and scientists are now saying that the premise might actually be true. We could very well be living in a computer simulated world and the reality we experience may be part of an “ancestral simulation,” a virtual recreation of humanity’s past. They postulate that a future humanity may be facing death and/or a dying world, forcing scientists to create our world as a massive diagnostic test to find out what went wrong in an attempt to fix or avert it, which could cause multiple timelines. When I first read this, I eerily recalled a strange experience I had back in my late 30’s while undergoing a dental procedure using nitrous oxide gas. The incident is documented in P.M.H. Atwater’s 1995 book, Future Memory (p.17-18). “As the dentist worked on my nerve-exposed tooth, I felt and saw in my mind’s eye an intense energy pattern swirling inside my head in synchronicity with the action of the drill. I suddenly knew what the dentist’s next words to me would be, how many beats of a second he would pause in between his words, and what his precise actions would be as he spoke. Then, to my amazement, he did exactly as I had anticipated. “I said to myself, ‘Now his assistant will say and do such and such next,’ and she did. A deep knowing came over me. A knowing that in this particular reality we are all actors acting out our pre-assigned roles and that the play is a long-running story with continuous performances. We are destined to repeat the same sequences in our lives over and over again while knowing it, and we have agreed as a collective to this continuous experience. ‘No I can change it. I can stop the pattern,’ I shouted in my mind. So I forced myself to say aloud the most outrageous thing I could think of to the dentist, something totally out of context. The second after I did, I knew I had spoken those very same words before in the same situation with the same response from the dentist. Even my deviation was part of the scripted role. There were no surprises. Everyone already knew everyone else’s lines. In this nitrous oxide induced state, I asked myself why we do it then? The answer was that inhabitants in this particular reality learn from constant repetition and reinforcement. Within the experience I saw myself, likened to a cell, residing inside this huge body politic, whose identity in place and time I did not know. Each cell (or being) knew its function and role within the body and contributed information to its operation and survival. I felt like I was part of the operating system inside some giant intelligent design—egoless, like a worker bee serving its queen. I’m not sure how much the nitrous oxide contributed to the experience, or the aftereffects, but I was severely depressed for three days following the dental procedure. I had no prior history of depression, but having learned what I perceived, at the time, to be the true reality of human existence, came as a traumatic shock. I realized that if I embraced what I knew, it could color my entire life and make it seem futile. By the third day, something kicked in and the memory of what I’d seen and experienced, seemed to be short-circuited. I suddenly felt happy and hopeful again. I could still recall the experience, but it no longer held any emotional charge. I wasn’t sure why. If we do live in a simulated reality, the laws governing it may be different from its programmer(s). Scientists generate models all the time that don’t correspond directly to the real world but help refine our theories. And if such a simulation is an imperfect emulation, there might be places where the computer code shows its presence. If the Universe is a numerical simulation similar to those run by modern nuclear physicists, then there might be a point where the program’s necessary simplifications are at odds with the predictions of fundamental physics. Everything in the universe is quantifiable in some way. Even life is quantifiable, despite medicine’s long reputation as an “inexact science.” The Human Genome Project, which sequenced the chemical base pairs that make up human DNA, was solved using computers. All the secrets of the universe are solved using math. In fact, we can explain the universe better using math than we can with words. During my own near-death experience (NDE) in 2003, I learned that everything in the universe has a mathematical signature and everything can be broken down to binary code (0+1), the language of the universe. This is the underlying premise behind the Trinfinity8 technology I developed. The concept of informational healing and math being at its core, was something I had no knowledge of prior to my light at the end of the tunnel experience. People have long exchanged ideas of God as the master mathematician of the world. 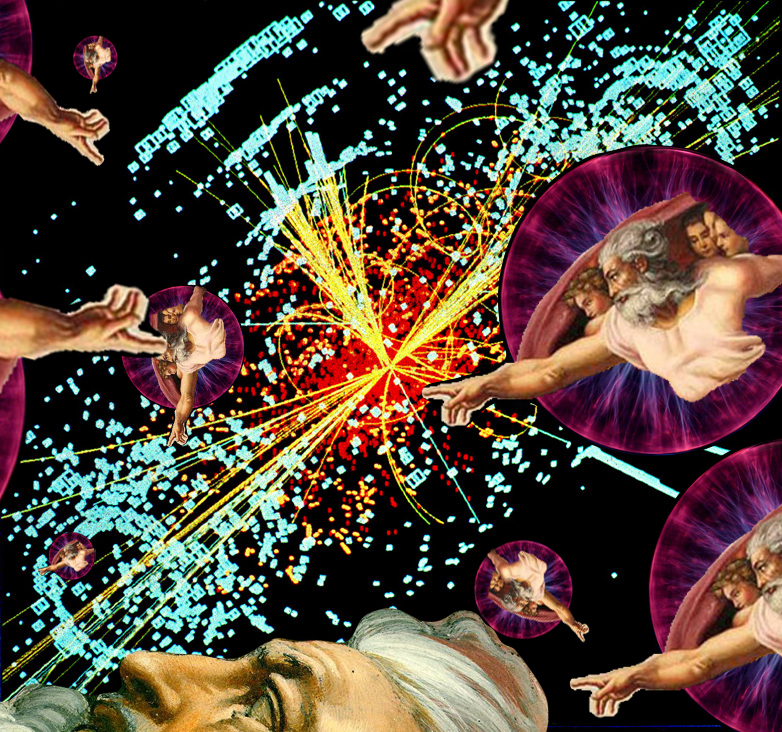 Some imagine a white-haired bearded man presiding over some heavenly realm, but simulation theory says that God may instead be some geeky, perhaps even genius, programmer hunched over a keyboard. A programmer can create worlds out of simple binary and even encode us with the desire to religiously worship the program’s creator. The virtual universe within a universe video game, No Man’s Sky, was created using a mathematical algorithm, as was the creation of the program’s avatars. Everything consists of a number. Throughout No Man’s Sky is the use of fractal geometry—repeating patterns that manifest similarly at every level of magnification, just as we see in nature all around us–even inside the human body. We reside in a fractal universe. We are all fractals of God, and a product of the Mind of God. Or, as some might say— our “Source” code programmer. If this is true, I can’t help but wonder if its “Open Source” code, meaning the coding has been created as a collaborative effort in which other programmers can improve upon the code. Perhaps, on a higher spiritual level, we are all the real programmers in this experiment. If so, we might question why we didn’t create a perfect simulated reality to live in—a virtual paradise. From my dental experience discovery, the answer is that nothing is truly learned or resolved without repetition and conflict. Perhaps our creator(s) want to see how much we can learn and evolve on this planetary civilization with a host of obstacles—like some complex level video game. “Right now the fastest NASA supercomputers are cranking away at about double the speed of the human brain. If you make a simple calculation using Moore’s Law [which roughly claims computers double in power every two years], you’ll find that these supercomputers, inside of a decade, will have the ability to compute an entire human lifetime of 80 years – including every thought ever conceived during that lifetime – in the span of a month. This brings up a host of questions. Could other planets and/or civilizations also be a part of this simulation, or would this strain computational capacity issues? Are they a part of another simulation where they are barred from openly interacting in our world simulation unless, of course, they were programmed to be the observers of this simulation creating another level of existential and cosmic conflict? According to U.S. theoretical cosmologist Michael Turner, the idea that our Universe is a fiction generated by computer code may solve a number of inconsistencies and mysteries about the cosmos—like the role of Dark Matter. Dark Matter is one of many hypothetical materials used to explain a number of anomalies in the Standard Model—the all-encompassing theory science has used to explain the particles and forces of nature for the last 50 years. The still unproven existence of Dark Matter could be better explained by a virtual universe. When scientists at The Hadron Super Collider at CERN discovered, then observed the “god particle” (referred to as the “Higgs Boson”), they were quite surprised to find it had no mass. All small sub-atomic particles have mass, which means they have weight. If the particle weighs nothing than it equals zero. Some would suggest that this means the universe, as we know it, is not real. 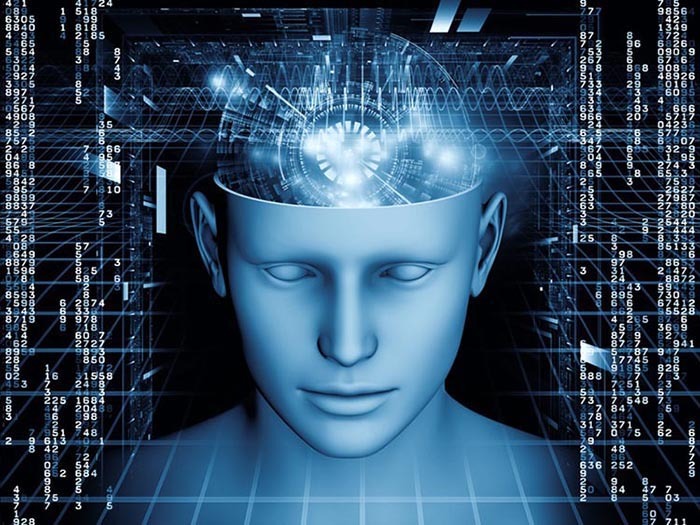 It must be either a thought-form in the Mind of God, or perhaps a piece of programming software which assigns an arbitrary value to everything. While we may never have definitive answers to the reality we live in, it does open us to the vast mysteries surrounding our true origins and purpose. 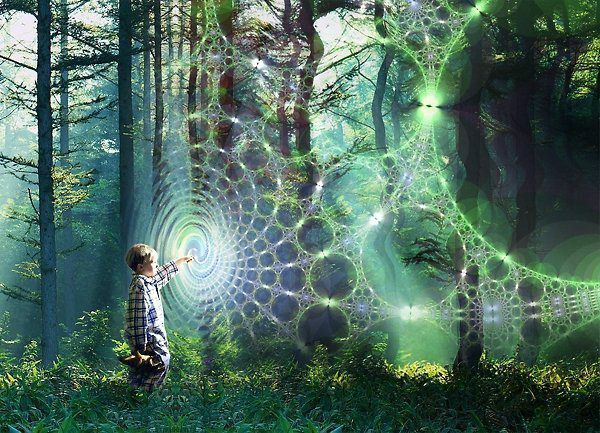 Whether our reality is real or simulated, either way we, as infinite souls, have decided to participate in this grand learning experiment called Life.